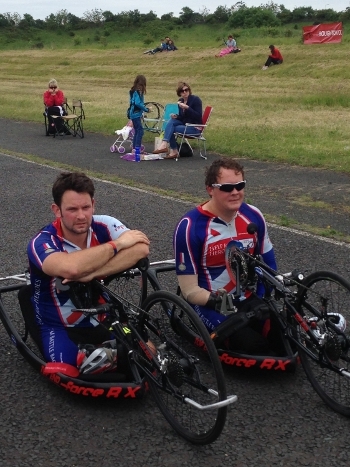 Team Battle Back is para-cycling team of wounded, injured and sick service personnel funded by Help for Heroes. After fuelling the team during their Race Across America in 2012, TORQ have now come onboard as an official supporter of the team. 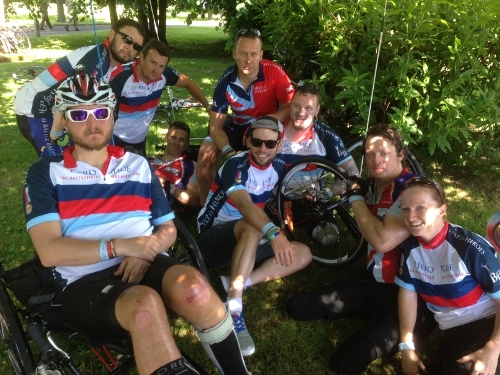 As part of the Help for Heroes Sports Recovery program, Team Battle Back aims to use cycling to help seriously wounded service personnel gain the independence and confidence to focus on what they can achieve, rather than what they can’t. Initially started by the requirement to use cycling as a physical rehabilitation activity for our most seriously wounded, Team Battle Back has developed into a team of 30 road and hand cyclists who regularly train together and compete on the national para-cycling circuit. Key achievements to date have included the completion of the epic 3051 mile, Race across America (RAAM) in 2012 and the development of 5 athletes who are currently on the British Cycling Para-Cycling Squad aiming for Rio 2016 and beyond. The aim for the future is to continue to support the riders in terms of both training and competition, to assist them on their recovery journey and help them live active, meaning and fulfilled lives. Here at TORQ we are proud to be continuing to fuel the team’s racing and training in 2014 and look forward to following their progress.